Judging by the look on Shrek's face, I assume he just blew an Ogre-load. "Jenkins. How long have you worked in our marketing department...? Never mind. You're fired." I would have imagined it was greener. 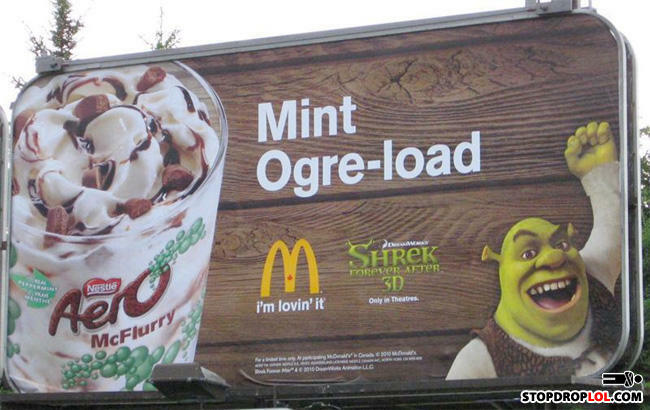 Proves that an ogre's favorite food is mint. Is this a poop joke? Q: What do you call a black man's dead bodie?